In the process of writing a short something about an article I wanted to share, I stumbled into an internet rabbit hole, that shook me to my core. Frank Mitloehner is thee expert on the environmental impact of livestock. He is an air quality specialist and a professor at UC Davis. He recently wrote an article for a website called The Conversation, titled Yes, eating meat affects the environment, but cows are not killing the climate. Now it might surprise some people that, “Cows are not killing the climate.” needs to be written, but it does. I follow the media and what they say about the beef industry fairly closely. I knew there was quite a bit of misinformation out there. I knew it was getting bad, but until now I had no idea how bad it really was. How Taxing Meat Could Save Human Lives. If We All Eat Meat We’re Doomed. So yes, the article did appear on Newsweek’s website… and they have made damn sure it is absolutely impossible to find! So the top internet search engine in the world’s top news results for, “meat” tell people how meat is being replaced, lay out step by step plan to eat less of it, and for those who don’t want to eat it less, they explain how to tax it and force people to eat less. If this isn’t a sobering eye opening, wake up call for the meat industry, I don’t know what would be. The media has declared war on the meat industry. So what have the top meat processors done to combat this? Well unfortunately they have invested in the fake, plant-based and lab grown, meat industry. I explained this in an earlier article here, TYSON FOODS JOINS CARGILL IN TURNING THEIR BACKS ON FARMERS AND RANCHERS. At the end of that article I explained that I am going to fight this, but I’m not real sure how. I’m still not sure. I haven’t posted or written much about this lately because the amount of false information being spread on a daily basis, is completely overwhelming. I was overwhelmed before I even looked and now that I’ve looked… where do you even start? 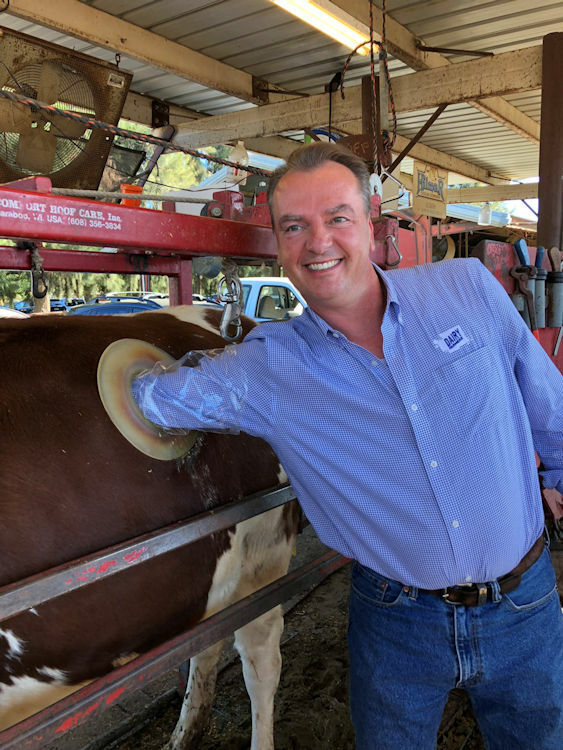 It seems that Frank Mitloehner is also fed up with the lies being told about the beef industry and he has written this article to fight those lies. Promoting this article, would be a great place to start. Like I said before, the article was originally posted on, The Conversation, this website allows all of their articles to be republished anywhere free of charge. The Omaha World Herald is the top newspaper in the, second largest beef producing state. In true journalistic fashion they have no problem publishing an imported pack of lies that aims to destroy their own local economy. I am sending them the truth from the man who studies it everyday, the Mitloehner article. I suggest you do the same to your local paper, or anyone you know who might be believing or spreading these lies. It is an overwhelming uphill battle, but if you think its one worth fighting, you have to start somewhere. Here is the web address for the article. I suggest not sending a link, because emails with links are often marked as spam. Here is the web address for the republishing guidelines that I would include if sending to a media outlet. This article is one of many that reports on studies that are financed and promoted by an anti-agricultural movement. This movement was started by animal rights activists and is now being heavily promoted by investors in plant based foods. Recently, the pre-imminent researcher on the environmental impact of livestock, Frank Mitloehner, published an article, Yes eating meat affects the environment, but cows are not killing the climate. Dr. Mitloehner is a Professor of Animal Science and Air Quality Extension Specialist at the University of California, Davis. He is a respected scientist who has spent his career studying this subject. His article directly refutes many of the claims made in the article you published. Also, Dr. Mitloehner published his article on The Conversation website. This website allows the republishing of their articles online or in print for free. I am asking that you correct the record and publish Dr. Mitloehner’s article. I believe this will go along way in keeping the trust of your readers, many of whom depend heavily on meat in their everyday lives.